Best-selling writer Greg Rucka (WONDER WOMAN) and acclaimed artist J.H. Williams III (SANDMAN: OVERTURE) reveal the shocking origin that set the foundation for one of the DC Universe's most prominent lesbian characters in BATWOMAN BY GREG RUCKA AND J.H. WILLIAMS III.<br />Determined to continue serving others after her military career was cut short by bigotry, Kate Kane has taken up the identity of Batwoman, leading a one-woman war on Gotham City's evil underbelly.<br />And at the heart of her investigation is the Religion of Crime, a criminal cult led by a madwoman known only as Alice. Speaking in riddles and storybook rhymes, the Lewis Carroll-inspired Alice aims to transform Gotham into her own twisted wonderland.<br />But is everything Alice says truly mad? 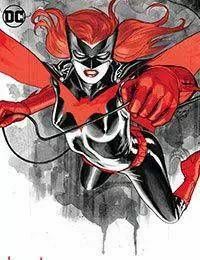 Underneath her deranged theatrics, she may hold the key to understanding Batwoman's past…<br />BATWOMAN BY GREG RUCKA AND J.H. WILLIAMS III is the visually stunning landmark series collected here in its entirety. Originally presented in DETECTIVE COMICS #854-863, this volume also includes the never-before-collected storyline “Cutter” with guest artist Jock (THE LOSERS).